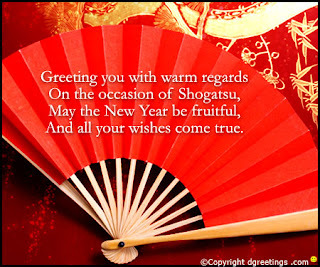 admin October 18, 2014 bonenkai parties, hatsu-mode, how japanese new year celebrated, Japanese New Year, japanese new year messages, Omisoka, osechi-ryori, Osho Gatsu, otoshidama? Only few more days to “Osho Gatsu 2013″ or “Japanese New Year 2013.” This national holiday is the biggest and most important event on the Japanese almanac of annual festivities. From 1873 onwards, 1st January has been adopted as the “Japanese New Year”. Earlier, it was celebrated at the beginning of spring as per Chinese calendar. For winter holidays, schools and universities remain close two weeks before and after the New Year’s celebration. Most business-houses, organizations, and establishments remain close from the 30th December through 3rd January. During holidays, many Japanese families travel to their native places to be with their extended families and friends. How is Japanese New Year celebrated? Japanese people nurture highly proactive approach in both personal and professional spheres of their life. Hence, it is quite obvious for them to start preparation for the shōgatsu holidays at-least one month ahead. Traditionally, they perform o-souji (cleaning of households or establishments) to welcome New Year in a new, fresh state. Entrance gates of the homes and offices are ornamented with flower wreaths along with bamboo, pine, and plum trees. Omisoka Ritual: On 31st December eve, a bowl full of long toshikoshi-soba (made from a mixture of buckwheat and wheat flour) is served to the members of the family. This ancient ritual is called Omisoka. The long soba noodles symbolizes longevity. Hence, most Japanese families believe that finishing all toshikoshi-soba would bring a long, rich life. Even today, Japanese people preach that bad luck will follow in the coming year, if you fail to finish all your toshikoshi-soba. Pre New Year Parties: On the last day of the previous year, bonenkai parties (“forget-the-last-year gatherings”) are organized with the purpose to leave behind the past year’s anxieties, tensions, and troubles. Japanese people view each New Year as an opportunity for a fresh start. In present-day Japan, generation X loves to spend the evening watching popular music shows or television program such as “kohaku uta gassen”, featuring some of the Japan’s most famous pop singers in spectacular performances. Hatsu-mode Ceremony: January 1 morning (called gantan) is considered to be a very auspicious day. From the dawn, Japanese people dressed in brightly colored kimonos start flocking to Buddhist shrines and Shinto temples to pray for a healthy, prosperous and happy year ahead. This is one of the most important rituals of the year and is known as hatsu-mode. Families, friends and acquaintances greet each other “Akemashite omedeto gozaimasu (wishing you a happy new year ahead full of hope and good health). At the Shinto shrines, worshippers write their wishes/ prayers on wooden placards called ema, or draw paper strips of paper called omikuji from a large wooden box to know prediction of one’s fortune for the upcoming year. If a person is lucky to pull out a good omikuji, he or she would safely retain the strip of paper. However, bad omikujis are tied or pinned to a pine tree, with the believe that the bad fortune will be left behind. As a part of New Year celebration, large temple bells are rung at midnight. Otoshidama Custom: Kids get really busy on Japanese New Year’s morning. They get engaged with traditional games such as kite flying, spinning tops (koma), Japanese card playing (iroha karuta), Japanese badminton (hanetsuki) etc. Sadly, with passing of time, most urban children no longer feel attracted to these once-popular past-time games. One particular ritual is still continuing with pomp and grandeur. It is called “otoshidama” where kids receive money as gift from parents, relatives, and other adults whom they meet during New Year. Greeting Card Exchange: Japanese are particularly respectful towards their culture and traditions. Even today, irrespective of Internet boom, Japanese people have preserved their culture of sending New Year’s Postcards (nengajo) to friends and family whom they don’t often meet but eager to exchange news on their well-being. Interestingly, the Japanese postal service is so prompt that the New Year’s Greeting Cards are guaranteed to reach on the 1st of January. Most nengajo features paintings or pictures of Chinese Zodiacal animals. Gourmet Foods and Wines: Most Japanese are connoisseurs of good foods and rice wines (Sake). In most families, a traditional meal, osechi-ryori is served. Wide array of preserved vegetables and grilled fish packed in lacquer boxes (known as jubako) are served to be eaten over the 3-day holiday period. Authentic osechi-ryori meals comprise of Tai (sea bream) with uni (sea urchin), Kuromame (sweetened and simmered soybeans), Iridori(chicken), Kurikinton(candied sweet potato and chestnuts), Tataki Gobo( burdock’s deep roots), Kohaku namasu (carrot and radish salad with vinegar), Tazukuri (dried sardines), Renkon ( lotus roots) and Kazunoko (herring ovary with eggs). These marvellous super-gourmet boxed meals are accompanied with ozoni (chicken-stock soup with veggies), omochi (fluffy rice cakes) and otoso (sweetened rice wine seasoned with Chinese medicinal herbs). • Time has arrived to say adieu to old pains, tears and worries; Here comes the new beginning that will bring peace, happiness and cheer. Let us welcome the Osho Gatsu 2013! • A New Year has just begun…May All Mornings be full of SMILE, All Afternoons be full of HOPE, All Evenings be full of LOVE, and all Nights be full of PEACE. HAPPY NEW YEAR 2013! • I prayed to God in highest heaven, To make your heart a permanent place for love, health, peace and joy. Wish you a Happy and Colorful Shogatsu! • Just new blooming Sakura blossoms spread blissful and radiant fragrance around…..May the New Year bring a new beauty and freshness in your life. Akemashite Omedeto Gozaimasu! • A New Year has arrived to gift us another chance to get everything right. Cheers, Happy New Year! • Let’s make resolution not to repeat last year’s mistakes and make some new ones. Happy New Year, cutie pie! • This New Year, stay away from planning “resolutions” for your life. Enjoy go-with-the-flow days with blasting parties! • Let’s make a New Year resolution to make-up quickly after a fight. Happy New Year, my loving sweet heart! • Honey, Thanks for not laughing at my absurdly irritating behaviours all through 2012. I am feeling extremely optimistic about 2013. Happy New Year, dearie! • My simple New Year resolution is to make you loose weight. Akemashite Omedeto, buddy!